A young mother surrenders her daughters. A loving family quickly adopts one while the other spends her turbulent youth in foster care. What happens when the sisters reunite thirty-five years later to find the woman who abandoned them? 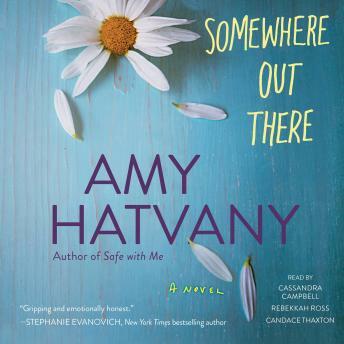 Amy Hatvany fearlessly explores complex family issues in her gripping, provocative new novel. Great book! So many emotions in one story. Great narration. Highly recommended. This was an enjoyable listen. You definitely feel the desperation from the mother and your heart breaks for her. I'm sure there are many young women in real life who have faced this very issue where they need help but no one is willing to give it. The truth in this story is what made it so sad. Throughout the book I felt more for Brooke than the other characters since she got the worst end of the stick. The ending was not what I expected but I can see it happening considering what their mother went through.